Main has over 75 years in the industry and is only available through independent merchants. 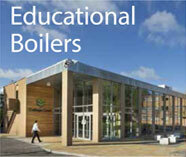 Main are also part of BDR Thermea, one of Europe’s leading manufacturers and suppliers of heating systems and services. We can service or repair all types of Main Boiler including Main Combi 30 HE Pack, Main 30 Eco Condensing Combi Boiler Kit and the Main Combi 25 Eco Boiler Pack.